Yogyakarta Tour Guide "ATOK" has been doing since many years ago for foreigners who take travel to yogyakarta or semarang. I have my own company name ABHISEKATOUR consist 6 yogyakarta driver guide, yogyakarta tour guide and we all serve yogyakarta transport that serving demand of yogyakarta rent car with driver. With 6 team I use 6 cars and have Van 12 seats, Van 16 seats, and micro bus 30 seats. Choosing best Yogyakarta Tour Guide - Atok. Visiting Yogyakarta, Java, Indonesia for the holidays and to get away from your routine life will be very enjoyable if you are accompanied by a right Yogyakarta tour guide. Yogyakarta or "Jogjakarta" or commonly just called "Jogja" provides many and varied of tourist spots. You can visit the cultural heritage, the masterpiece of ancient civilization stone temple as well as natural attractions ranging from trekking to summit the active volcano, stunning limestone caves to unspoiled white sandy beaches. Also do not forget, Yogyakarta is the center of education, craft and also the center of art development in Indonesia. Due to its spread locations and its spots diversity, it makes the existence of Yogyakarta tour guide would be very helpful. They will help you to choose the destination you want to see and visit, help organize your busy schedule, drove to the location, as well as explaining the background of the tourist spots to visit. Choosing best yogyakarta tour guide driver who has the commitment to serve, honest, polite, hospitallity, will sincere helps all purposes you during follow the tour well as has been experienced is priority of yours. You can read the my several reviews and testimonials for you as much as possible before deciding to choose the service of me, ATOK - Yogyakarta tour guide driver. Thanks for your email. 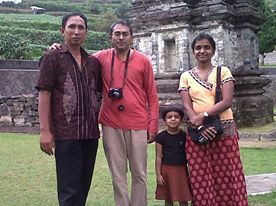 I will certainly recommend your services to others who may be visiting Yogya. Good luck in your business. I'm back in Boston and would like to post wonderful reviews of your driving assistance, but I can't seem to find the appropriate link at Tripadvisor. The links you sent don't work. If there is another way we can help out, please let me know. Of course if my husband and I return, with or without Heather and Malinda, we will certainly seek your services. 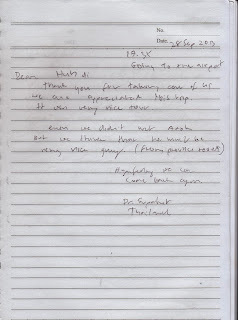 We really appreciated your promptness and assistance -- and the trek along the slopes of Merapi! about you to my colleagues and gave them your card. and can stay at our house without any charge. Hope this email finds you well. 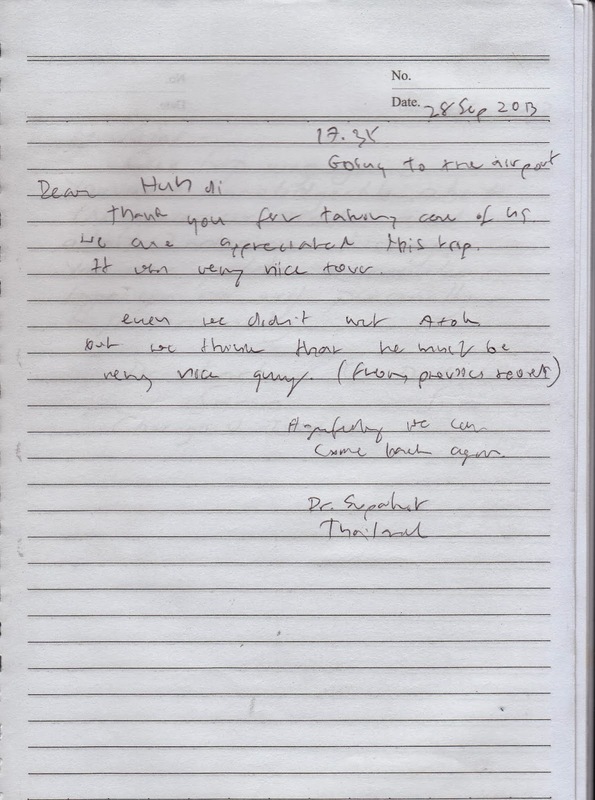 We sort of took it for granted that we would see you the following day and did not properly thank you, so, dropping a line to express our gratitude for sending us safely to and from Parangtritis. Wish you the best in you endeavours (do more parachute jumps a year!). Panjang umur, murah rezeki, moga berjumpa di lain hari. There are so many guide driver services are offered in Yogyakarta when you find the best tour guide for you, then your visit to Yogyakarta will give you a million beatifull great memories. So pleae do not hesitate to contact me soon at aswoto(at)gmail.com.